Is Heineken still a Dutch Brand ? No. Are there still Dutch people looking over the way the brand is marketed ? Likely not. 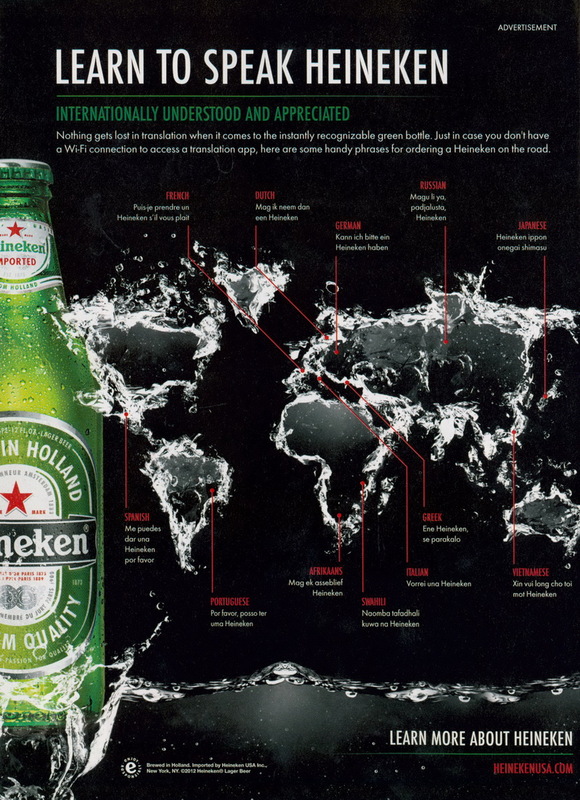 Case in point: this ad in Wired Magazine, positioning Heineken as a worldwide brand - and failing miserably. Does "Mag ik neem dan een Heineken" sound ok to you or is it just plain jiberish ? 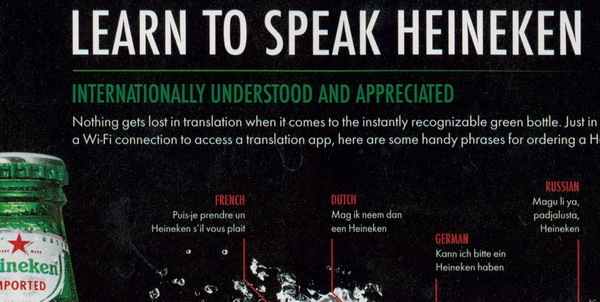 Here is the full ad, under the heading "Learn To Speak Heineken" - very funny if you then realize that the Dutch text is meaningless and a plain (and wrong) translation of the French text. Embarassing to say the least. Making the opposite point of what the ad intended to do. Sorry Heineken, you can do much better than this ! 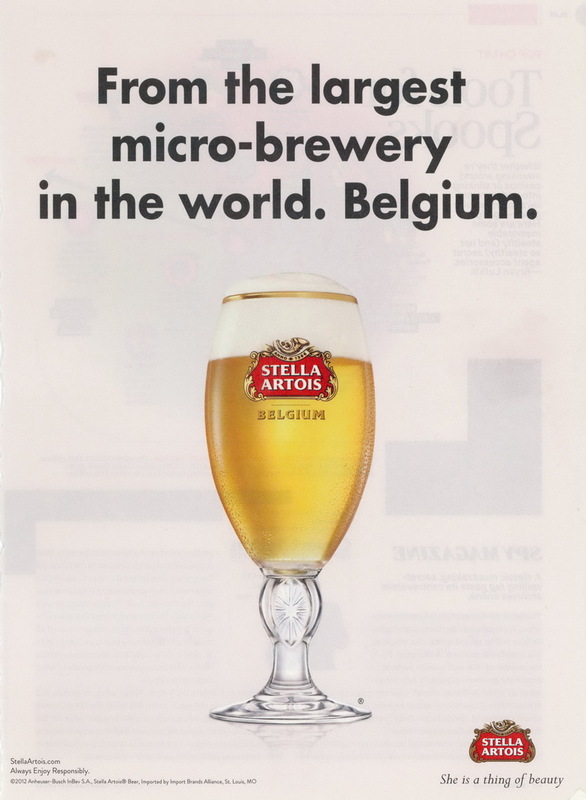 Stella - She is a thing of beauty - From The Largest Micro Brewery in the World. Belgium.